Two Venture models - with a 1.6-litre petrol or diesel engines - and the 2.2-litre diesel Sport Nav derivative will offer extra kit at no extra cost. 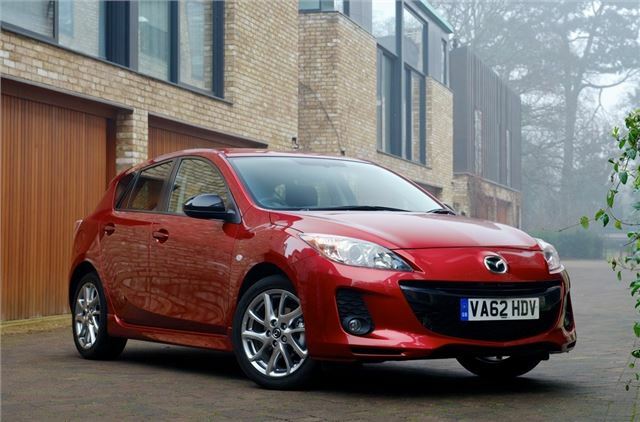 Additional equipment includes 17-inch bright finish alloy wheels, rear parking sensors, black door mirror housings and new sporty black cloth seat trim with red stitching plus the availability of a new exterior colour, Zeal Red Mica (a £495 option) and seven other colours. And yet again the fancy new trim levels and no-cost extra equipment are not available with automatic. I have always had a soft spot for the 2.2 sport nav model - I just wish they had had a high performance and fuel efficient petrol version. Perhaps this is a load em high sell em cheap-ish strategy before the all new Mazda 3 hits the streets later this year with Skyactive engine technology (as the showroom salesman told me a few weeks ago). Currently on my second RX8 (an R3 in white) and enjoying every moment. It has all the toys and more, is more fun than a GT86 and the cost to run it is far less than the replacement capital cost of an Audi TT. Roll on summer!